Worked barely for 5min.. network down again..
Or maybe can have another day of cd for beldum? Is it for the whole of Asia? I thought only for Japan? 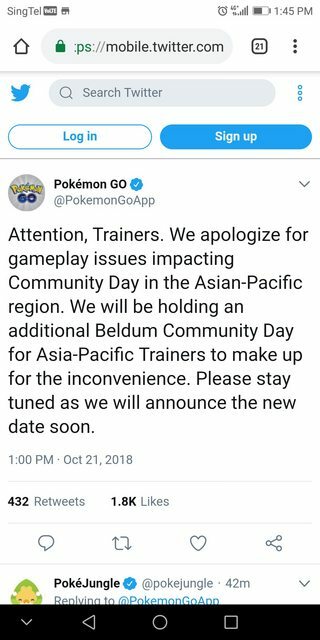 Niantic announced for whole APAC. But today evolve still on right? Caught many Beldum today but zero shiny.